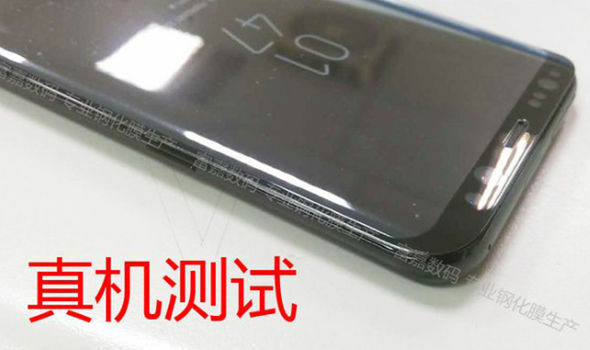 All the leaks, details and rumors about the next flagship phone by Samsung, in one post. This article will be updated regularly for newer details about the Galaxy S8. Perhaps you were already tired of seeing blow-by-blow news about the leaks of the Galaxy S8, Samsung’s upcoming flagship phone which is expected to be announced later this month. So, I decided to compile probably all the relevant rumors and latest photos (renders and official leaks) into this post. They came from reliable sources too, so just read it. The Samsung Galaxy S8 didn’t appear on the recently concluded MWC 2017, however, the South-Korean giant had announced there that the said phone will be released on March 29 of this year, and recently, Forbes just reported that Samsung will start to offer pre-orders on April 10th, with the sale date being on April 21st for both the S8 and the S8 Plus. Also, there will be a local event (Philippines) on March 30 following the March 29 worldwide announcement for the Samsung Galaxy S8 and I’ll be attending it so stay tuned. Of course, there will be no excitement if there are no new features. The upcoming flagship phone promises some good news and of course, there are some bad news. First is the ridiculous re-positioning of the Fingerprint sensor at the back, just beside the Camera. 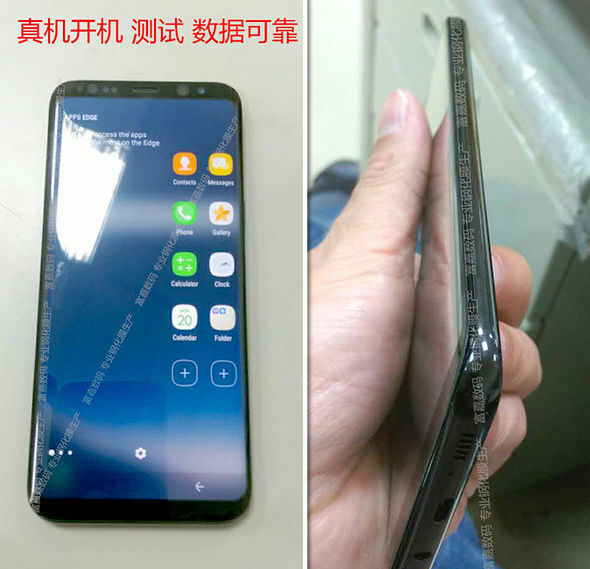 Yes, what you see on the photos above corresponds to the current leaks and details of the Samsung Galaxy S8. An almost bezel-less display, without the physical home button (will be using on-screen buttons for sure) can be seen through this actual photo leak below. An AI assistant (Bixby) is also rumored to exist on both the S8 and the S8 Plus. With a dedicated button for Bixby on the left hand side, the phone makes it easier to call the AI assistant in just one click. A heart-rate sensor which looks promising. However, we still don’t know or figured out how the hell that exactly works. USB-C, although this isn’t a big deal, it is still worthy to include this here since we’re coming from a micro-USB port. An Iris / Face Scanner, which only existed before on the discontinued Galaxy Note 7, is now entering again on both phones. 1000fps video recording mode – A report from a reliable source, SamMobile, states that the S8’s camera could offer 1000fps slow-motion shooting capability. This is more than the 960fps that the Sony Xperia XZ Premium can offer. A DeX (Desktop Experience) Dock, which is deemed to function alongside the Samsung Desktop Experience software for PCs. It will allow users to dock the phone and open its contents through a PC monitor via HDMI. Some of the best looks and considered actual renders of the Galaxy S8 and S8 Plus are here. The Galaxy S8 and S8 Plus will have 3,000mAh and 3,500mAh cells respectively, seemingly a small reduction in battery capacities compared to the S7 Edge. Of course, this will be not exciting without seeing some benchmarks. An alleged prototype of the Galaxy S8 was spotted by Slashgear on Geekbench, and it is very, very powerful than ever. And of course, the most thrilling part, perhaps is the price. Within this elegant looking and powerful phone, is a price that many might consider expensive. For the Galaxy S8 – it was expected to sell at about 799 EURO, ~$845, ~Php42,500. For the Galaxy S8+ – it was expected to sell at about 899 EURO, ~$950, ~Php47,890. The phone itself, as you can see, is really great. Although the price is considerably a premium, it can actually justify it without any further doubt. It could be because Samsung is pushing out well and exerting its efforts in order to restore the customer’s interest on their phones and also to restore their reputation which seems to be damaged from the recent Note 7 fiasco. Anyway. if these conditions and rumors are actually true, nothing else can beat up the Galaxy S8 at the moment it was launched.